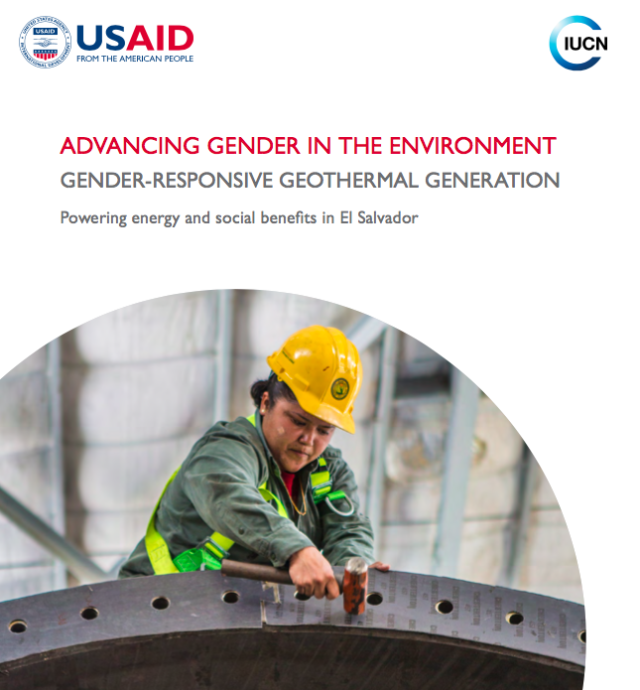 This case study highlights the various ways in which LaGeo—a geothermal energy utility in El Salvador—developed strategies throughout its corporate mission and operations to adhere to national laws on gender equality and national development goals, resulting in environmental, social, and women’s empowerment outcomes, as well as positive impacts on business outcomes. This case study shows how utilities can increase gender equality and promote women’s empowerment through institutional policies, examining management structures, and utilizing corporate social responsibility (CSR). It also highlights how LaGeo used CSR initiatives across numerous impact areas, such as livelihood activities, reforestation and mitigation efforts, social infrastructure development, conservation work, education, and health initiatives to demonstrate the benefits of geothermal energy in delivering environmental sustainability and employment. In turn, these efforts build strong community relations to help mitigate and prevent vandalism. The case provides recommendations and selected resources for further reading that other companies, across sectors, might consider. This Energy Case Study is produced by Advancing Gender in the Environment (AGENT), showcasing advancements towards the achievement of gender equality in the energy sector. It was developed with the guidance and support of the Gender and Renewable Energy (G-REEN) network of experts hosted by AGENT.